Join us to celebrate artistic excellence and diversity in Canada with a preview of our signature summer series All Over the Map. Discover the work of Kunda African Music & Dance, Immigrant Lessons and Calle Verde during this free event, open to everyone! 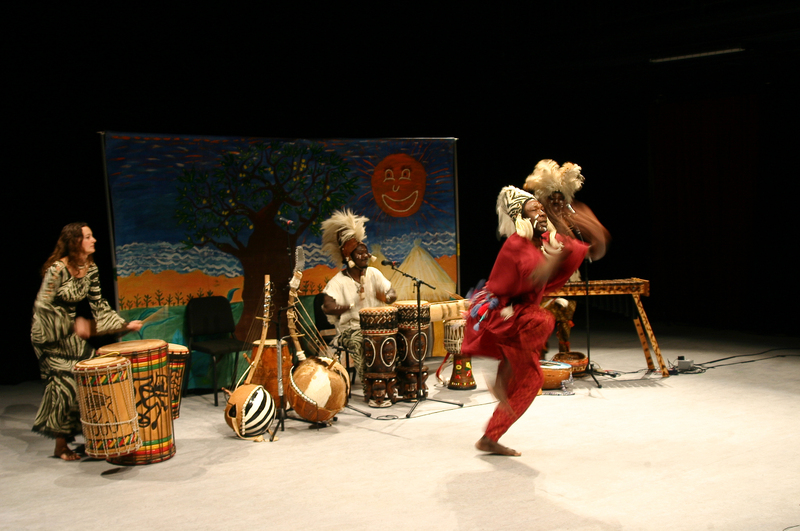 ‘Kunda’ means family, & thus is very fitting for this multi-cultural group of talented artists from several regions of Africa, the Caribbean, and Canada, who have come together in unity to share their vibrant culture through a family-orientated show, also displaying Canada’s ethnic diversity, & encouraging people of all cultural backgrounds to come together & share ideas, beliefs, & traditions, to eliminate boundaries, interact, & join together in peace, unity, & harmony, as one world, one love, & one people… one family. Fronted by Kocassale Dioubate, a griot (traditional story-teller, musician, entertainer, and keeper of tribal history and tradition) from the Mandingo tribe of Guinea, West Africa,Kunda also includes Canadian percussionist/dancer Sasha Belle, Cuban percussionist-extraordinaire Toto Israel Berriel (formerly with world-renown Muñequitos de Matanzas), and Ivorian acrobat and dancer Kesseke Yeo. Immigrant Lessons is a dance/art collective created to promote cultural pluralism through: dance, music, fashion, and visual design. It is the soul child of the collaborative efforts of two professional artists, Kevin Fraser and Alyssa Amarshi. These two dance professionals have decided to merge their 13 years of combined experience to tackle issues that have been prominent both in their professional as well as their personal lives. Individually, their work has explored issues of: sexual orientation and gender identity, feminism, racial discrimination, cultural erasure, intersectionality, as well as mental illness. 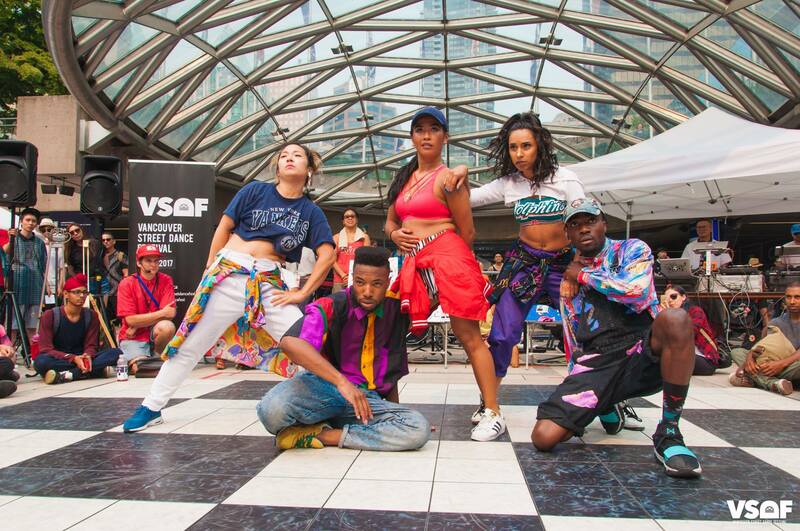 Immigrant Lessons is a combined front to aid in the creation of more opportunities in: dance, stage performance, film, urban performance, concert dance, as well as community development for POC and other marginalized communities. Calle Verde established itself in 2014 as a group of flamenco artists steeped in tradition, but not necessarily traditional. Calle Verde is a forum for experimenting with musical and choreographic ideas that soften the boundaries between flamenco and other forms. Their aim is to present works that are authentic to the artists’ experiences, backgrounds and influences while maintaining a deep respect and reverence for traditional flamenco forms and expressions. 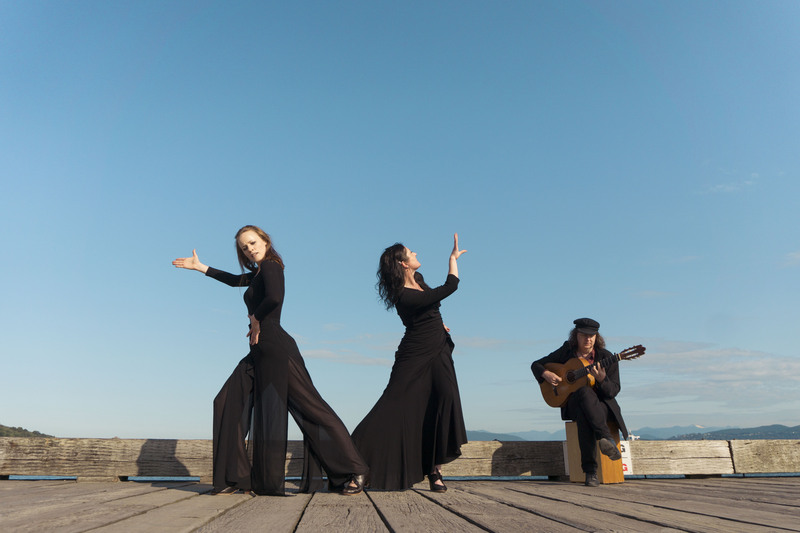 Calle Verde features the talent of dancer and choreographer Michelle Harding, dancer/singer and choreographer Maria Avila, and musicians Peter Mole and Marek Wojtaszek.